The Bank of Ghana will not allow persons whose actions led to the collapse of the five indigenous banks to go scot-free. According to the head of banking supervision, Bank of Ghana, Osei Gyasi, the criminal aspect of breaches perpetrated by the insolvent banks are likely to be dealt with in a court of law. “We have categorically stated that there have been breaches of the law – the banking act – and there’s been a breach of Bank of Ghana regulations and rules. The criminal aspect of these breaches will be determined by a court of competent jurisdiction,” he said on the Citi Breakfast Show on Thursday. The Bank of Ghana on Wednesday announced that it has revoked the licences of five struggling banks and merged them into one it called Consolidated bank Ghana limited. They include uniBank, Sovereign Bank, Construction Bank, Royal Bank, and Beige Bank. BoG said some of the insolvent banks obtained their licenses using suspicious and non-existent capital. It added that some breached cash reserve requirement, others had negative capital adequacy ratio, and shareholders of some of the banks too engaged in supposed dubious transactions. Prior to that, the BoG had earlier taken over uniBank with an excuse of saving the bank from collapsing. It handed over the administration of uniBank to independent audit firm, KPMG Ghana after which it presented its report to the BoG. “As to whether these are criminal issues or not, I think it’s for law enforcement agencies and the courts to determine. So going forward I think the appropriate decision will be taken and if there is a need for the law enforcement agencies to come in, they will come in at the appropriate time,” Osei Gyasi added. An economist and the Policy Director at the Trades Unions Congress (TUC), Dr. Kwabena Nyarko Otoo, had earlier called for issues of criminality to be dealt with over the issue. “There are criminal [issues] to be answered; those that reported the false information and those who ought to have checked that there is correct information; criminal negligence,” Dr. Otoo stated on Point of View. 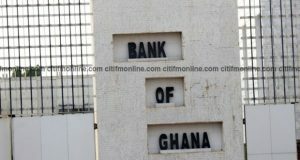 The post Managers of collapsed banks could be dragged to court – BoG appeared first on Citi Newsroom.